Junior Matt Cowley and senior Cedric Willems finished the year ranked No. 90 in the ITA doubles rankings. Cowley and Willems teamed up to anchor the Utes at the No. 1 doubles position during the 2015 season. 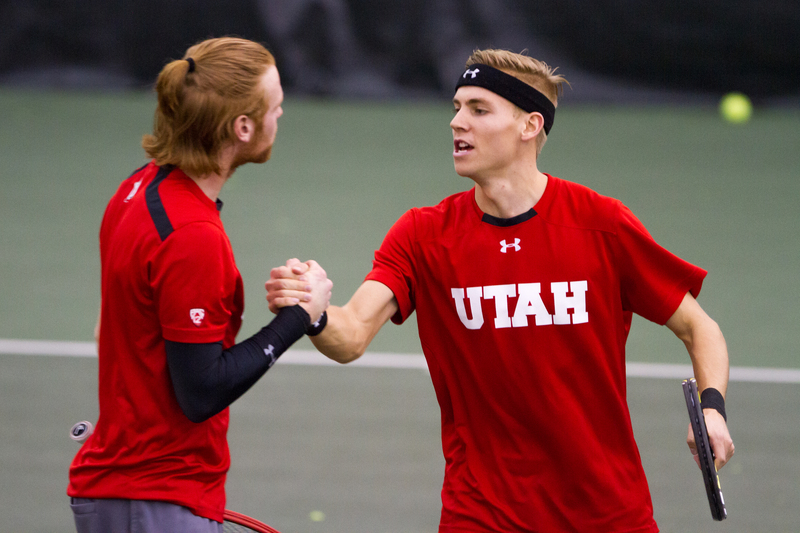 They are the first tandem to represent Utah in the end of year ITA doubles rankings since Wes Hancock and Phillip Eilers were ranked No. 49 in 2009. Matt and Cedric accumulated a doubles record of 11-8 during the 2015 season, including marquee wins over No. 45 New Mexico, No. 55 Elon, No. 64 Denver No. 70 Utah State, and BYU. They also netted a win against then 57th ranked doubles team in the nation, Matt Hagan and Dominick Patrick of the University of Iowa. This entry was posted in PAC-12 / NCAA News and tagged Cedric Willems, ITA Rankings, Matt Cowley, Phillip Eilers, Utah Utes, Wes Hancock. Bookmark the permalink.